I am writing this post to ask for your help in saving a baby girl’s life. 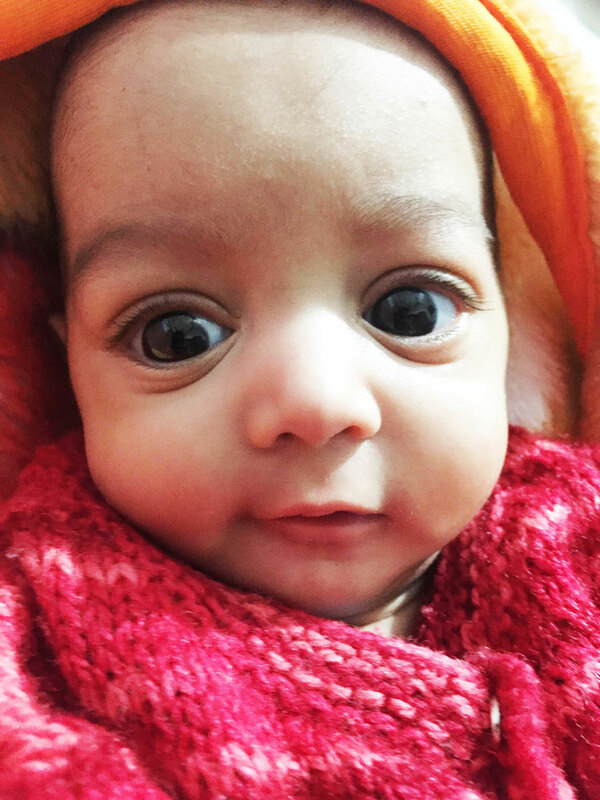 Ananya is six-month old and is currently at an intensive-care unit fighting for her life. I met Ananya in a hospital during my last trip to India. She was only a few days old and in a very weak condition. She was so unstable that she had to remain in the hospital for several weeks before she was released to an adoption center. Ananya had been found one day after her birth, wrapped in newspaper near a Dumpster. She was a premature baby, so she was very fortunate to be discovered just a few hours after her birth. Regrettably, many newborns are not so lucky. During my visit to Ananya, I felt great to know that she was in good hands. She simply had to overcome her weakness and gain the necessary development to become a healthy baby. Unfortunately, three months have passed since I met Ananya, and I have learned that she is currently in an intensive-care unit, fighting for her life. Her development had progressed very slowly after she was discharged from the public hospital. Because of her weakness, she acquired an infection that has placed her in a more serious medical condition than when she was found wrapped in a newspaper. Admitting Ananya back into a public medical facility could result in the loss of her life, as the available public facilities do not have the proper staffing, equipment, or medication to treat her condition. In simple words, Ananya can survive only by receiving the medical attention offered in a private, more specialized, medical facility. This, of course, comes at cost, which cannot be funded by the adoption center. Raj, a member of Hands 4 Zero Poverty, partnered with Kana Yokoji to launch an online campaign to raise funds to support Ananya’s treatment at the private medical facility. With a current cost of $230–260 per day, however, keeping Ananya there is becoming impossible. This is where I connect with you. I am asking you to help support Ananya’s medical treatment. You can help to keep her in the current medical facility, where she has access to the right medical staff, equipment, and proper medication for her condition. Support can be as little as one dollar; anything counts when it comes to saving the life of a child. Let’s get Ananya out of danger; let’s help her gain the strength necessary for her proper and healthy development. All donors contributing to support Ananya’s recovery will receive regular updates about her progress up to her adoption. On Saturday March 3rd, Ananya succumbed her illness. She did not have the strength necessary for this type of fight. Ananya was not alone in her fight for survival. She had people like you who cared and supported her until the end. Ananya was, and will continue to be, an inspiration for us at Hands 4 Zero Poverty. Unfortunately, Ananya's story continues as we speak across India and the world. We will not give up in helping those in need. We can only succeed in this quest with your support. Hands 4 Zero Poverty would like you thank all the supporters who came forward to ensure Ananya would receive the best medical treatment possible.